The following article is the third chapter from Progressive thinking, ten perspectives on housing, a Public Service Association (PSA) publication. Interest.co.nz is publishing all 10 chapters from different authors on various aspects of housing. Home is a place to keep us well and to connect us to our family and community. Our homes can bring us a deep sense of satisfaction as we make them our own. A home enables us to pursue our goals, to seek what we value and advance our autonomy. All in New Zealand/Aotearoa should have such a place to thrive. All families should live in homes that keep their babies healthy and offer security during financially vulnerable years. Young people should find comfortable, affordable homes that enable them in their study and work pursuits. Older people living on their own should be part of a community, feel safe, and be cared for. None of us need pay more than a third of our income on accommodation to live in a healthy home that brings us contentment. Our homes and whenua should be the foundation for our wellbeing. Once they were. Looking back 60 years, New Zealand was no Camelot, but we were walking a policy path that ensured that most people had a strong and stable home from which to pursue their goals. We have veered off this path and housing has become the heart of many of our problems. For a generation at least, successive governments have chosen tax and housing policies that benefit house owners and landlords to the detriment of everyone else. These people have ignored policies that would enable quality affordable housing for everyone, and while the rot is revealed the solutions proffered are too little too late. A generation of New Zealanders are now shut out of house ownership and forced into expensive, broken down, rental housing or hard to access unhealthy social housing. It is utterly unacceptable. However, we can fix this, we can rebuild the foundations and ensure homes are again a source of wellbeing for all. We need a game-changer and the first step is to move away from the ideology that home ownership is the best outcome. Home ownership is privileged in policy, in part due to data showing better quality of life for homeowners. However, this premise is self-perpetuating. New Zealand has a dualistic housing system: houses are either owned, or rented within a private market, with a small number of social houses. In dualistic systems, quality of life is better for home owners because the rental sector is so poor: choice is limited and quality is markedly worse in rentals (Building Research Association of New Zealand data proves this), the high cost means those renting are unable to make other investments to achieve long term financial security. Those who have the money to escape to ownership do so, and for many of them, their only investment is their house. However, evidence is clear that outcomes are better for people and for society with an integrated rental-housing sector: where high quality cost-based rental makes up a large proportion (up to 40 per cent) of the housing sector. In New Zealand, we need to move away from house ownership as the best option. Instead it is time to give all people true choice in quality affordable housing. Implementing a set of innovative policies, we can reign in a rental sector saturated with low quality and expensive houses and do away with the very concept of targeted ‘social housing’ subject to the whims of political ideology. Instead we can build a universal housing system where all New Zealanders will have access to affordable, high quality, consistently warm and healthy homes where they need them. weatherboards for fear of missing out on their only retirement investment. Private landlords will have to bring their properties up to scratch and their prices down in line with what is offered in the not for profit sector. Building a large scale not-for-profit rental sector is a long-term commitment from central government and a genuine social investment. It would produce major twenty to thirty-year gains for the country in terms of health, wellbeing and productivity. in information and scale purchasing, would undertake the planning and building. Stock would then need to be gifted to the not for profit sector and/or capital loans made, as sector capacity grew. Strong regulations would protect tenants and ensure that the not-for-profit sector (NFP) prices did not exceed cost of provision (keeping rents low). As the NFP sector grew it would become self-sustaining and attract outside capital investment. Government guarantees would be required to attract the right kind of investors, e.g. superannuation funds. Act. To tackle long-term fuel poverty and climate change we would implement evidence-based energy efficient building standards in the NFP sector (e.g. passivehaus). tenancy neutral housing benefit. The benefit would ensure those on low and middle incomes could access a home they chose at an evidently affordable price. As the sector grew and house values and costs stabilised (or came down), the housing benefit payments would reduce in real terms. Changes to the tax treatments on non-housing investments and property and land investments would accompany this strategy. adversely on that debt in the future. There is a veritable mountain of evidence that without affordable, high quality, warm housing – especially for children – New Zealand’s wellbeing is being adversely impacted. Housing is one of the best investments that can be made in a society for its long-term benefit. In building a large not-for-profit rental sector in Aotearoa, we can rebuild our foundations and realise a vision where homes are at the heart of our wellbeing. *Jess Berentson-Shaw is a science researcher working for the Morgan Foundation. Jess holds a PhD in Health Psychology from Victoria University. Jess has over 10 years’ experience working on applying science and evidence to public policy. Note: The views expressed in Progressive thinking, ten perspectives on housing belong to the authors and do not necessarily represent the view of PSA members or the organisation. And the second chapter is here. How profoundly whimsical, this article is. "Strong regulations would protect tenants and ensure that the not-for-profit sector (NFP) prices did not exceed cost of provision (keeping rents low). As the NFP sector grew it would become self-sustaining and attract outside capital investment. Government guarantees would be required to attract the right kind of investors, e.g. superannuation funds." Perhaps some of the economists at the Morgan Foundation should have proof read this before release. It's full of well-meaning bureaucratic speak. The writer does actually appear to have compassion, bur sounds subservient and obsequious to the Kafkaesque nature of NZ institutional society. Thankfully many of us (perhaps most) have very little faith in economists. 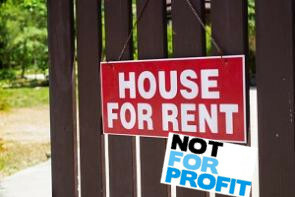 Why would private capital be interested in not for profit rentals? Wouldn't private capital normally seek profit? Did the author perhaps mean that charities would get involved as opposed to outside capital investment? Negative gearing is used on a small part of my portfolio, the part that bears all the costs so that other parts of the portfolio can be free of debt. The debt free part then distributes income to my wife (student) who has no income at the minute. The negatively geared component is used to reduce my income which is a little higher than my wife's. The net effect of negative gearing is just to shift income from me to my wife so that her bottom tax brackets aren't wasted. When we have kids we'll likely be able to pay them each a wage from the profitable portfolio items (their university / school expenses / allowance fund), while the negatively geared items reduces me and my wife's income. A paradox here in NZ, ppl want the government to do lots stuffs but refuse to give it the power to do them. I think you'll find that the paradox is not within individual people but just different opinions between different people and demographics. You can't use "black and white" thinking to describe what people want as a society sadly. Not - for - profit rental housing ? Get real , this will never fly , quite simply with all the will in the world in cannot be done . Firstly , most landlords DO NOT MAKE A PROFIT on rents received at current rents or property values or building costs . Houses cost a huge amount of money to build , and you have to either build with cash or borrowed funds , in which case interest has to be paid . So the rent must at least equal the cost of borrowing , plus a management fee of say $10 a week . The cost of Government funding is around 3% so the rent will need be around $300 per week at least . Not-for-profit is the working definition of building enough houses in Auckland. Whilst the world had a building boom, Auckland Council choked off land supply to Auckland. Compassionate article but it doesn't offer any new ideas as to who will spend the money to build these houses. Independant Observer, maybe you?